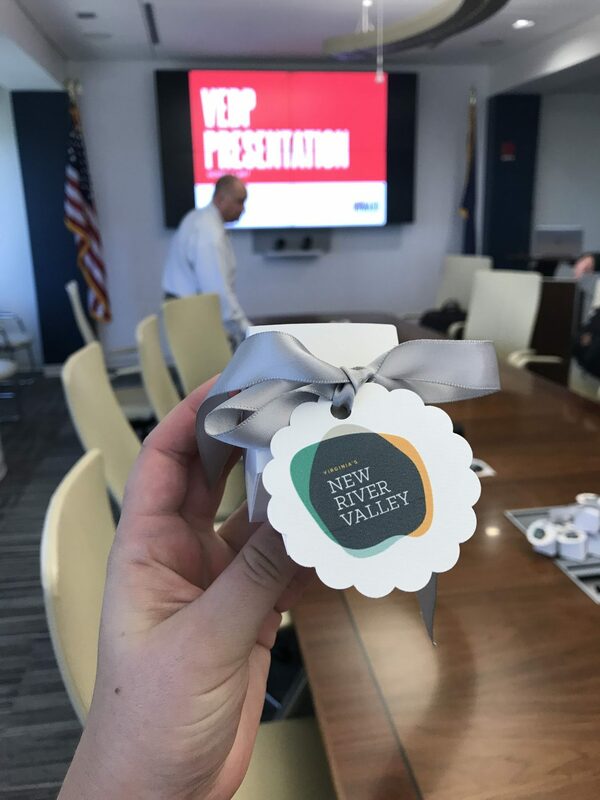 Onward NRV staff visited the Virginia Economic Development Partnership to present the new brand updates and current status of Virginias New River Valley, joined by representatives from Montgomery and Pulaski Counties, October 2-3 in Richmond. Marketing Manager Abigail Hammack presented to the Communications and Promotions team first thing Tuesday morning. The presentation encompassed in-depth information about the two new brands for Onward NRV and Virginias New River Valley as well as some information on the new targeted industries for the NRV. The team also met with representatives from the Office of Agriculture and Forestry Development to understand opportunities that might be available to communities in the NRV. Finally, Onward NRV and county representatives presented to the Business Investment team at VEDP. Executive Director Charlie Jewell gave an update on the branding, targeted industries, and recents news and events; Michael Solomon gave an update on Pulaski County; and Brian Hamilton gave an update on Montgomery County, focusing on the newly acquired Cox Property that will add to Falling Branch Corporate Park. Staff also showcased some of the amenities in the NRV and brought goodies for VEDP staff members, made by the Blue Ridge Fudge Lady from Pulaski, VA.
NRV #10 in High-Tech Employment Concentration Visit the NRV Tailgate at VT Homecoming!